The Motor Avenue Improvement Association seeks to improve the quality of life for its members and the Motor community by assertively promoting the community’s interests and facilitating community services and programs. 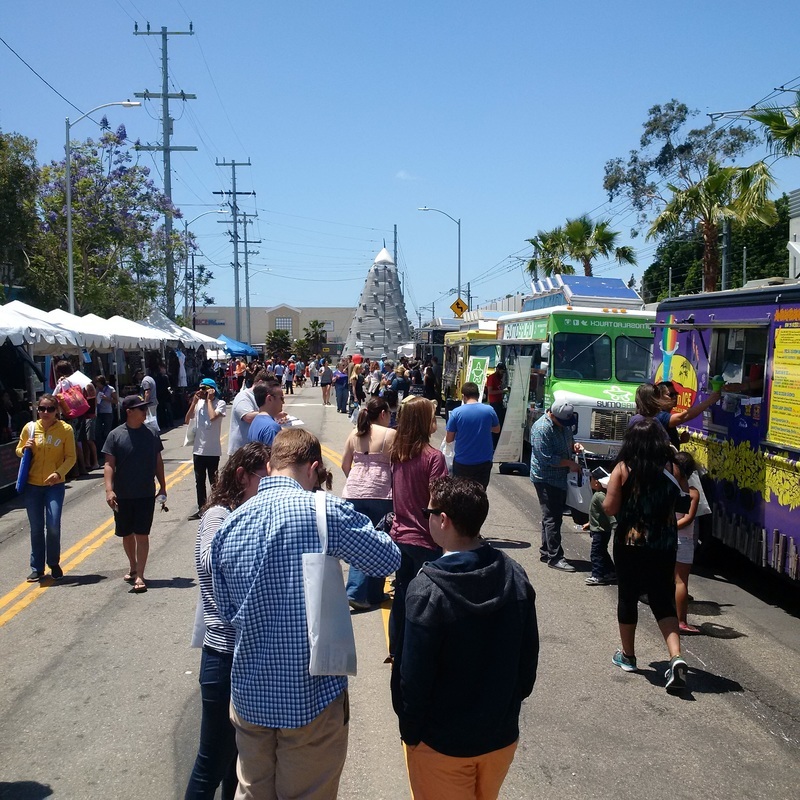 MAIA works to improve the Motor Community in the Palms area, one of the most population-dense areas in Los Angeles and the United States, as well as its adjacent boundaries. MAIA will work to maintain and enhance appearance and safety, as well as create programs that will benefit and serve the entire neighborhood. Through this, MAIA hopes to assist business and residential interests, enhance the walkability and business climate of the area, mitigate traffic issues, enforce existing building and safety guidelines for development, and help our neighbors resolve problems, when possible. Recognizing that the MAIA is part of a larger interconnected community, it is important to support our fellow homeowner associations, neighborhood councils, city council offices, local police and firefighters, and other stakeholders in pursuing regional traffic and infrastructure solutions. Palms Jam is a series of exclusive, live shows from amazing local artists. 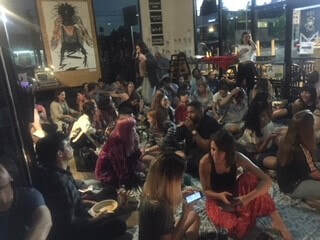 Jams are held about once a month in unique venues around Palms, such as restaurants, office spaces, or outdoors. 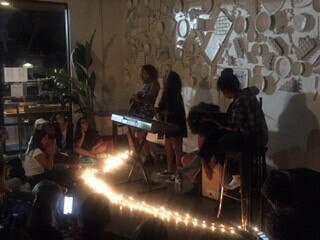 Every show is different, with three to four talented artists performing. Arrive on time and BYOB! ( Although light food and drink is served) Seating is limited, so think about bringing a blanket or other item to sit on. You will love this evening! Guests will walk away with not only an incredible, immersive, and intimate musical experience, but a taste of the best food in Palms and a goody bag from our sponsors - all local merchants, bars, and restaurants! The address is revealed the day before. You will not know who is playing so come with an open mind as you might find your next favorite artist, restaurant and friend. The first 75 applicants will be accepted and emailed the location and other details the day before the show. $20 per person Music, food, drink and giveaways. Arrival time: 8:15pm - 8:30pm. In Palms we have been both blessed with Buddha and brought together as a community after his desecration and destruction for a second time. We still have much to do and this time is part of the healing process for the interfaith coalition of Christians, Jews, Buddhists, Muslims, etc, that have come to support our Buddha. First, our thanks to the individual that would still like to remain anonymous who brought us all together by placing Buddha in our community late one night with no fanfare. The individuals that damaged and desecrated Buddha did not realize that this would strengthen and mobilize the community. We thank the new people who came together to put in a new Buddha in the middle of another evening. Folks came out of their apartments to watch, take pictures, thank the volunteers, and help throughout the evening. A wonderful example of the spirit of Palms. We will continue to work together to celebrate and enhance Buddha and add to his current home (possibly with a rock garden surrounding him) and bring Buddha to other locations around Palms. We will get a stronger Buddha and purchase the rebar, cement, wood, and a new pedestal to make him stronger. We will work on projects and Zen our community. We will add security for Buddha and now have a commitment for a location for a webcam to tape, view and help keep Buddha safe. We will all communicate together and come up with ‎our plan over time through our Google Group and gatherings. We will work with the City and Neighborhood Council to help with the City effort to permit the median for Buddha. Our City Councilman Paul Koretz has been to the Buddha and expressed his shock and disappointment in his desecration. He also vowed to help in any way he can. We also will work to find the individual that needs our assistance and help. His destruction of Buddha is a call for help. It is clear he does not truly understand the philosophy of Buddha nor the spirit of Palms. You may help by providing "dana", selfless giving without worrying about getting something in return. Either monetarily through this web site or through the donation of time. Just being there in otera is a donation of body and time, as is quietly listening. Thanks to all who have sent good thoughts to our Buddha and if you have not joined us please feel free to email us and join us as we continue our journey with our Buddha. Action!! Go online and make comments on each story‎ - the more comments, likes, fb shares, and shares each story get the more the sites will push it and the more other sites will pick it up. They like stuff that gets them traffic. Then the more money we can raise for cameras, buddha, etc. Paste each story on your social media - Facebook, Twitter, nextdoor, blogs, websites, Instagram, etc. Put every story on your social media. And it will grow and grow. See above. In your comments please ask , If people would like to help they can learn more at www.MotorAssocaition.org . You can also past these links so others go to all the stories. Palms Station Grand Opening Celebration! Thanks you to everyone who came out to celebrate the ribbon cutting for our very own Palms Train Station. We had a great turnout of community members and elected officials. Everyone had an amazing time!!! 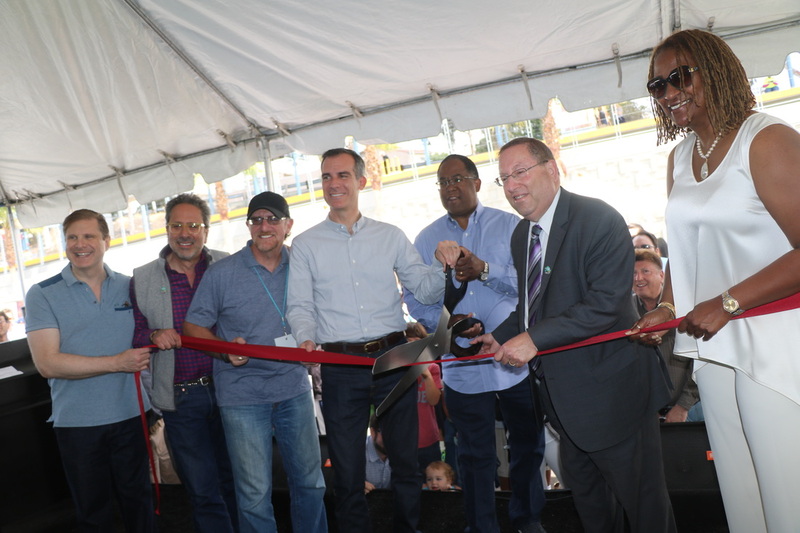 From left to right, Los Angeles City Controller Ron Galprin, California State Assemblyman Richard Bloom, MAIA Director Lee H. Wallach, Los Angeles Mayor Eric Garcetti, Los Angeles County Supervisor Mark Ridley-Thomas, Los Angeles City Councilman Paul Koretz and State Senator Holly Mitchell. View examples of improvements we want to bring to Motor Avenue. Be a voice for Motor Avenue to help various stakeholders such as residents, businesses, developers, the LA Planning Commission, and other government work together to create a vision for Motor Avenue that meets the needs of residents and businesses, while also promoting both economic and sustainable development and improvements. Coordinate new infrastructure for Motor Avenue, such as trash service, street lighting, improved crosswalks, landscaping, and more that will enhance the corridor's walkability and vitality. Sponsor opportunities to connect with each other and the community through incentive programs, member discounts, and events. Establish a Motor Avenue Farmer's Market to promote and provide access to local and healthy foods. Provide an internet presence for communication and recognition of area businesses. Institute a bulk-purchasing program to provide members with preferential prices for services such as waste and plumbing services.